Helsinki Airport is one of the most efficient airports in the world. 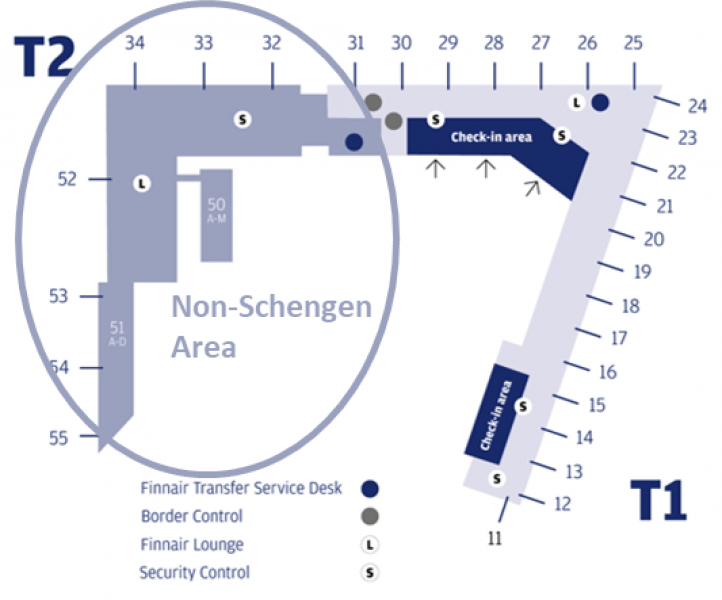 At Helsinki Airport, all gates are located in one terminal building, along the same short walkway. This means you can be confident that you will reach your connecting flight fast and hassle-free. See more pictures for a larger image.